Larnaka is in full bloom as the cooler weather gives way to balmy sunshine, and the region becomes bright and beautiful with emerald green fields and a rainbow palette of pretty flowers as far as the eye can see. 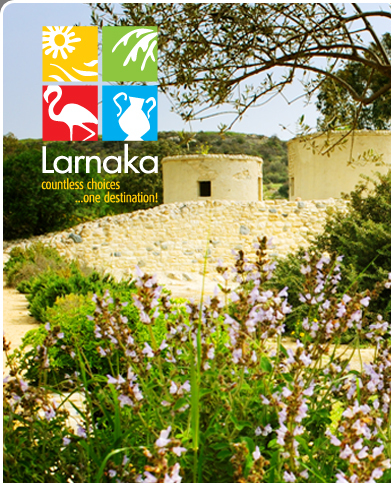 Just as spring is the month of birth and renewal for nature, new projects are coming to life in Larnaka too – all of which you can read about in this season's newsletter. With spring comes the Greek Orthodox Easter and all its traditions and festivities, including the Saint Lazarus Icon Procession which is unique to Larnaka. 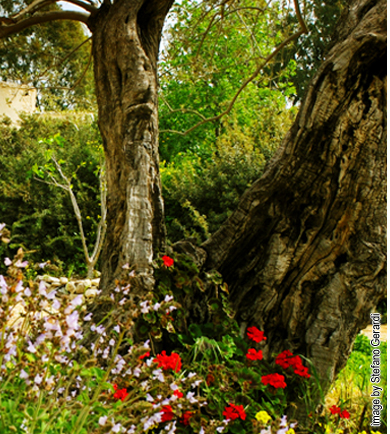 So, venture out, enjoy nature, experience the traditions and bask in Larnaka's spring beauty! Larnaka's new, modern Olympic standard shooting range in Klavdia has been completed and literally opens with a 'bang' as it plays host to the European Championship Shotgun event which is run by the European Shooting Confederation. The range is expected to attract global interest for both training and games in the future and will help further cement Larnaka's reputation for first-class sporting events. Larnaka International Airport is increasing the number of destinations that passengers can travel to and from this season (March-October) with the launch of new scheduled flights. Some of the destinations are completely new, whilst others are existing routes offered by alternative airlines, thus giving passengers greater choice and flexibility. Read more for further details on the destinations, airlines and schedules. Larnaka's popularity as a year-round holiday destination is continuing to increase as evidenced by the hotel accommodation figures for 2011. According to CTO official statistics, hotel guestnights in Larnaka region between January-December 2011 showed an increase compared to 2010 by 8.9%. Net bed and gross bed occupancy rates for the same period had increased by 10.3% and 14.7% respectively. Football fans recently enjoyed two major football events that were held in Larnaka - the Cyprus Womens Cup and the FNL Tournament. It was the fifth year running that the Cyprus Womens Cup was held here and national teams from twelve countries came to the island for training and matches. The FNL Tournament is a Russian National Football League tournament and the eight finalists came to Larnaka for training. Larnaka has proven to be popular for another sporting discipline with the presence of three major cycling tournaments – The Cyprus Sunshine Cup, the Volkswagen Cycling Tour and the Tour of Cyprus. Larnaka is a favourite with cyclists thanks to its excellent weather conditions, lack of strong headwinds and varied terrain and scenery that offers exciting challenges for both professionals and amateurs alike. Some very exciting developments are taking place in Larnaka! The University of Central Lancashire has chosen Pyla for its first international campus which is set to open in October. Larnaka is also in the process of securing big Chinese investment for a trade centre at the premises of the former airport, whilst the redevelopment of the Larnaka Port & Marina agreement will very soon be signed for work to begin. The pretty, mountainous village of Lefkara has a new addition to its attractions with the opening of the Ktima Dafermou winery. Located in the beautiful hills of the Lefkara Valley, the winery is open to everyone to visit and see how the wine is made, what wine varieties are used and enjoy some wine tasting. It can also host corporate and special events. With spring comes the Greek Orthodox Easter which this year falls on April 15. As always, the hotels of the region will be offering special packages and many of the villages are putting on public celebrations for visitors to enjoy. In Larnaka town, the highlight of the Easter period is the Saint Lazarus Icon Procession, which will take place on April 7. A two-year project aimed at restoring and protecting the lake of Voroklini is underway. The Community Council President Mr Parpounas believes that upgrading the lake will not only protect it but will also allow the public to enjoy it: "With the changes planned, which include watch points, people will be able to visit the lake and observe the birds close up".